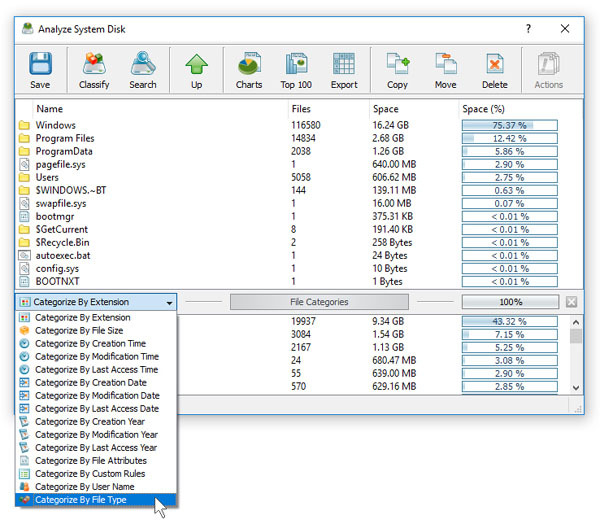 For each disk space analysis operation, DiskSavvy Server saves an individual disk space analysis report in the built-in reports database. In order to open the last disk space analysis report, just click on the required disk space analysis command item in the commands view. 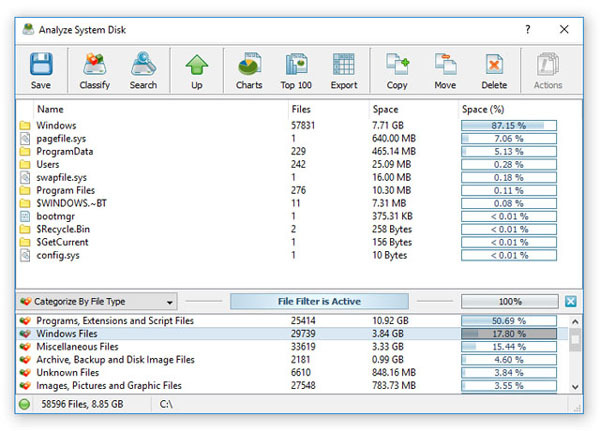 The disk space analysis results dialog shows processed disks, directories and files sorted by the amount of the used disk space. In order to open a subdirectory, just click on the directory item in the results view. In order to go back to the parent directory, press the 'Up' button located on the toolbar. DiskSavvy Server provides the ability to export disk space analysis results to a number of standard formats such as HTML, PDF, XML, Excel CSV and text. In order to export a report file, press the 'Save Report' button and select an appropriate report format.